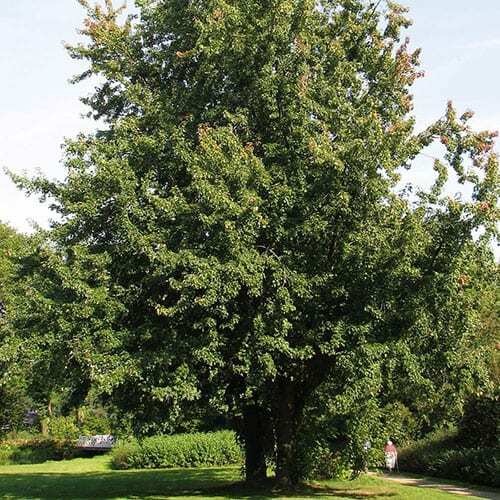 This medium-sized maple attains heights of 60-80 ft (18.3-24.4 m) and diameters from 2-3 ft (0.6-0.9 m). It has deciduous, opposite, lobed leaves that are pale green above and silvery below. The leaves often turn yellow or red in the fall. As the tree matures its smooth, silvery bark breaks into long scaly plates.